First off, lots of happy thoughts/prayers/positive energy to everyone on the East Coast affected by Sandy. I planned today’s post before the storm hit, but the topic and call for recipes might actually be helpful for those of you living off your pantry this week, as long as you have access to the Internet to even read this in the first place! Each Sunday when I plan my menu, I build my grocery list based on that menu. As a result I am a pretty efficient shopper and only buy food for that week. We spend less money and waste less food this way, but I tend not to have much stocked away for go-to dinners. However, one of the few ingredients that I always have on hand is canned tomatoes. 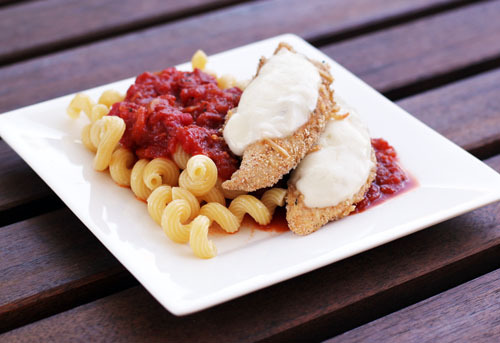 As long as there are canned tomatoes on my pantry shelf, I can always throw something together! As I have mentioned, I am currently working with Hunt’s canned tomatoes. When they first approached me, it was a no-brainer deciding to work with them. 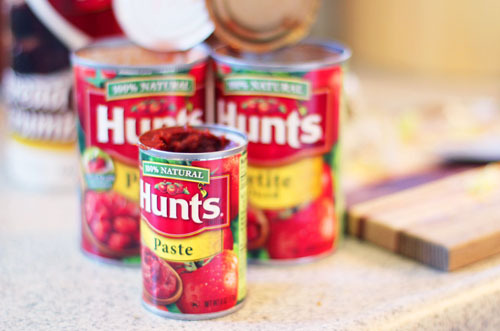 I use canned tomatoes all the time and love the Hunt’s product. You’re probably going to get sick of hearing me say this, but the Hunt’s petite-diced tomatoes are my FAVORITE and I’ve been buying them for years. The size of the dice makes the tomatoes super versatile for many of my recipes. They’re the best! Once I actually started working with Hunt’s, I learned more about where the tomatoes come from and how they are canned. What I found out makes me like the Hunt’s product even more. Hunt’s tomatoes are all grown in Oakdale, California and are picked when they are ripe. All of the tomatoes go from harvest to can in a matter of hours, which means they really are canned at the peak of freshness. I think this approach does in fact make for a flavorful canned tomato, which becomes obvious whenever I make my super fresh-tasting homemade tomato sauce. Here’s the other great part of Hunt’s canned tomatoes that I did not know previously. 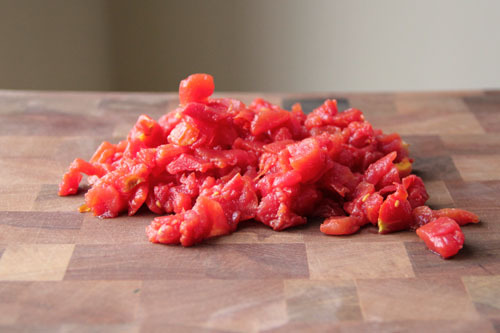 Hunt’s uses what they call the FlashSteam process for peeling the tomatoes, as opposed to using chemicals like some other brands, and there are no added preservatives. I tried canning tomatoes once. The peeling process about killed me. As much as I would love to can my own tomatoes every year, I simply do not have the time or, quite honestly, the energy. But canned tomatoes are a staple, so, I’m just going to let Hunt’s do the work for me! They’ve got it figured out and the tomatoes taste great. Done and done. Time for today’s Call for Recipes! 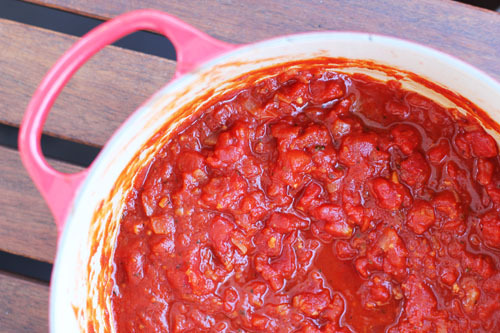 Please share your favorite recipes using canned tomatoes! Now that we are entering the winter months when fresh produce is scarce, I’m ready to crack into the canned tomatoes more frequently and would love new recipes! And I’m pretty sure there are lots of folks on the East Coast who could use canned food recipes this week! I’ll kick us off with my most favorite recipe using canned tomatoes: Tuscan Tomato Soup. This is super crazy delicious soup, people. On your mark, get set, go! Share your canned tomato recipes! Remember my little friend Lucy? She just had her birthday and she is FOUR years old! 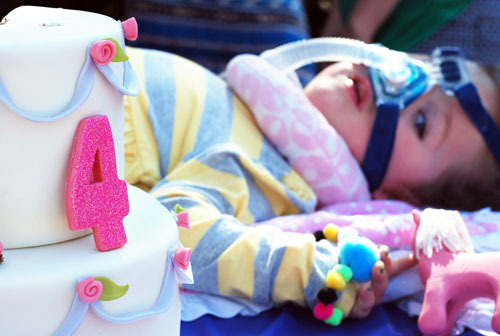 Keep in mind this is twice as long as her doctors’ prediction three years ago…we told you Lucy is a fighter! Lucy shares a birthday with her older sister, Jocey, and we had the opportunity to attend their birthday party yesterday. 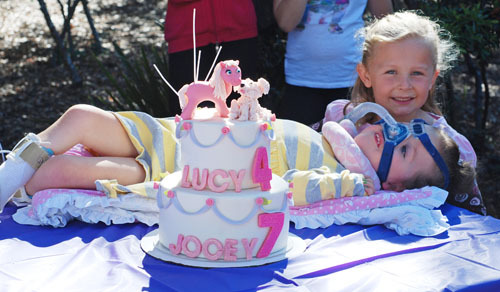 Jocey wanted a dog cake, Lucy wanted My Little Pony…so they got both! Their gorgeous and adorable cake came from Studio Cake in Menlo Park and it was absolutely perfect. I think my favorite part of the party, though, was watching Jocey and Lucy interact. 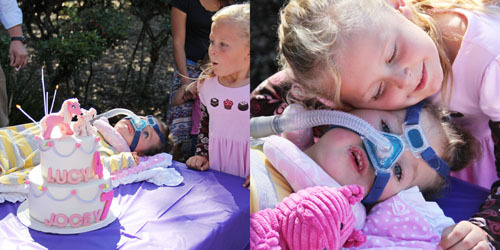 Lucy watching Jocey blow out their candles, Jocey cuddling with Lucy over and over again…words can’t describe. By the way, the Gwendolyn Strong Foundation has raised over $100,000 so far through the Santa Barbara Marathon, which is in two weeks! For those of you who donated to Lucy’s mom Cherisse for her run, thank you!!! – Happy Halloween! Pizza before we hit the streets! You know the drill, folks. We want to see your menus, so get posting! One of my most favorite people I’ve met through blogging is Kristen Howerton from Rage Against the Minivan. Her blog is great, she’s a fantastic writer, and she’s even better in person, if you can believe it. The first time we hung out, we spent several hours just talking, you know, about those light topics new friends talk about…politics, religion, the purpose of life. She truly is a kindred spirit and I admire her very much. So, when Kristen posted about fair trade chocolate, well, it really got me thinking. I’ll be honest, I haven’t thought much about fair trade cocoa. I mean, I sort of have. But, as Kristen points out, when something doesn’t affect us or our family directly, we as humans tend to not take much notice. I’m definitely guilty of that in this case. Her post is very thought-provoking and I recommend you go read it. She includes video in the post of a BBC documentary that is even more thought-provoking and, at times, gut wrenching. I’m not going to go into details here because I’m still learning, but please go use Kristen’s post as a springboard to start informing yourself about the issue. That’s what I’m doing. And, after reading and watching what I can, I’m going to think long and hard about how what I’ve learned is going to change my behavior. My mom works for Mars and I grew up in a town next to the M&M factory. We could smell the M&Ms in the air in the mornings, which is a fond memory for me. I certainly have a soft spot for them. I did a little research to see what Mars has to say on the topic. Over 2009-2011 they invested $70 million in sustainability efforts and say they expect to (let’s hope they really do) spend $30 million annually going forward. As of 2012, 20% of their cocoa is certified sustainable. It’s a step. Which is good. But there is still a long way to go, and the press release, while encouraging, doesn’t explicitly mention child labor. I have a feeling, as with most of the big food issues, change will take time but what we choose to buy and eat will be powerful for effecting that change going forward. Last week at the DailyBuzz Food festival I was introduced to the company Madécasse. Madécasse was founded by peace corps volunteers who lived in and fell in love with Madagascar. 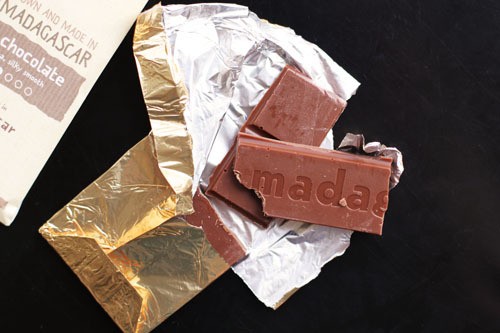 They decided they really wanted to make a positive impact on the country, so they started a chocolate company, one that doesn’t just source fair trade cocoa from Madagascar but also actually produces the chocolate in the country. This has 4 times the impact of straight up fair trade cocoa and is also good for the planet. The chocolate was delicious and it was really neat chatting with them and learning their story. 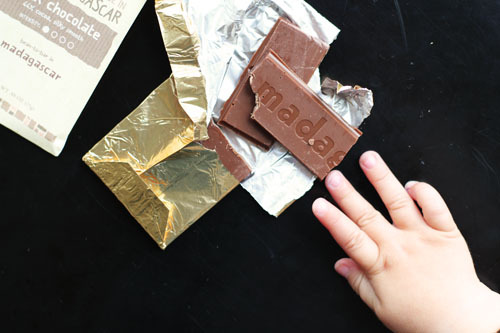 Madécasse isn’t the only company out there trying to do right by cocoa, and it’s exciting to see thoughtfully-built companies like this doing such great things to make a difference. Halloween is JUST around the corner. I can’t believe it! My friend Rachel brought us some delicious and adorable Halloween cookies this week. 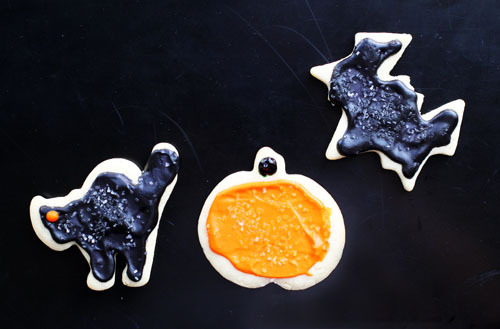 I wanted to share them with you because she offered a really great tip for frosting Halloween cookies! 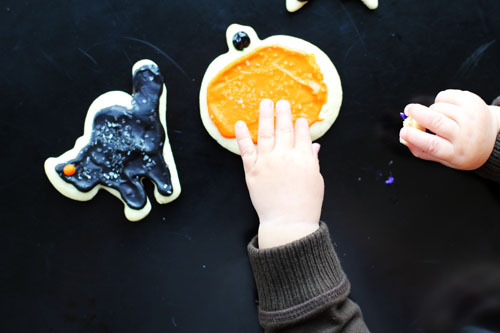 I find each year when we make Halloween sugar cookies, I choose good-tasting frosting over beautiful frosting. I would just rather eat a sugar cookie with homemade buttercream or cream cheese frosting than with that totally-beautiful-but-not-quite-as-tasty royal icing. The problem? I rarely can spread the frosting on the cookie but make it still look like the cute shape that we cut the cookie out with! Thanks to Rachel I can have the best of both worlds! When she dropped her cookies, I couldn’t help but notice that, even with the frosting, they still looked like the shapes they were supposed to be. Here’s Rachel’s secret: she pipes the icing around the edge of the cookie, then uses an offset spatula to spread the frosting to the center. So simple! I don’t know why I hadn’t thought of it before and I am so glad she figured it out! It’s a different look than royal icing, but it’s still super cute and much more delicious. Refrigerate the dough for 30-60 minutes after mixing it together but before rolling it out. Roll the cookies out thickly, thicker than you think you should. This particular recipe makes for a fluffy, thick sugar cookie. Sprinkle a bit of white decorating sugar crystals on top of the frosting for extra pizazz! Wow! It’s my 300th menu on the blog! Let’s celebrate with whoopie pies! This weekend I went to the DailyBuzz Food Festival and it was so much fun! I essentially enjoyed 24 hours of delicious food being handed to me. That’s my kind of weekend. Yesterday afternoon was the Taste Pavillion, where a room full of local and artisan food companies sharing their goodies. My friend Rachel went with me and we were absolutely stuffed by the end. 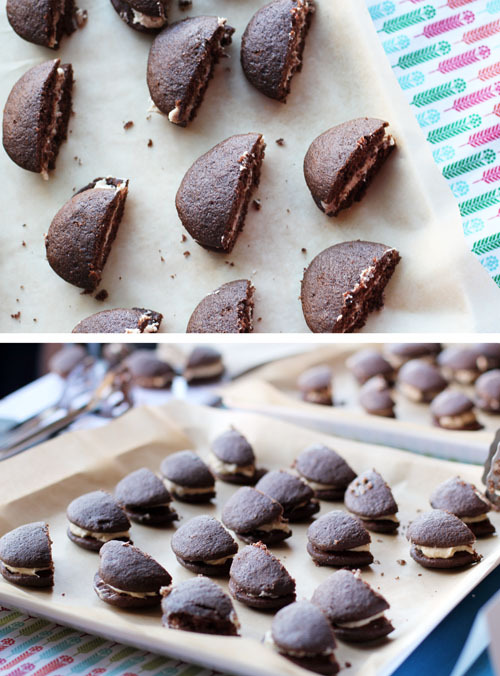 One of our favorite tables was After Suppa, a couple just starting a whoopie pie company. You know Nate and I love whoopie pies and he’s gone to great effort to educate me about their wonderfulness, as well as what a real whoopie pie should be like. When we walked up to the After Suppa table, I had a good feeling about their whoopie pies. The whoopie pies looked legit. The company name had the word “supper” in it, with the R dropped off, no less. And, after talking with them (the couple, not the whoopie pies), we found out they were from New Hampshire and the woman’s grandparents who inspired the whoopie pies were from Maine. BINGO. As you can guess, the whoopie pies were fabulous! I wish After Suppa great success in their new endeavors! And I’m glad somebody is bringing real whoopie pies to California! 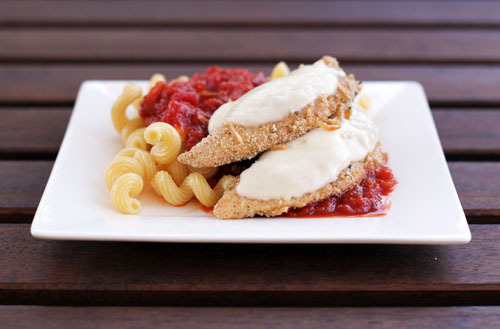 You know the drill…please share your menu for the week! And feel free to share it any day of the week – menus are welcome anytime! It’s Friday. Time to party, right? Nope. Time to think and think hard, people! 😉 I feel like by the end of the week, I often have heard and read lots of “stuff” that really gets me thinking. So, I’m going to process my thoughts with you, share what I’ve learned, get your thoughts, see where it gets us. Thinking is good, even on Friday. So, for our first Food for Thought Friday post, I’m dropping two big bombs. Get ready. As if two kinds of diabetes weren’t enough, several studies are indicating that Alzheimer’s could be considered Type 3 diabetes. Mark Bittman wrote a great piece on this subject on the New York Times recently that is worth a read. No, really, go read it. I love dessert. Nate often teases that I should rename my blog This Week for Dessert. In all seriousness, though, it’s becoming increasingly clear just how bad sugar is for our bodies. One study after another indicates the great amount of havoc that sugar wreaks on our systems. I still stand by the adage “everything in moderation.” But, I must also admit, my sugar intake is not always moderate (and I’m pretty sure I’m not the only one). How many times have I looked at people with Alzheimer’s and thought, “Oh, I hope that never happens to me.” Genetic predisposition plays a role, but it’s looking like what we eat plays a much bigger role in whether or not our brains go to pot. Which stinks, because I really love dessert. And french fries, for that matter. But I also really want to be lucid until the day I die. If I can affect whether or not that happens, I should seriously consider what I’m putting in my mouth every day. If you live in California, you most certainly have heard of Prop 37. If you don’t live in California, let me give you a quick rundown. First off, as we all know, California is kind of a crazy place and here is just one more example. We have this initiative process where laws are proposed and get voted on by the people directly. The California constitution is probably 3,000,000 pages long because of all these propositions that get passed. I actually kind of hate the whole process because, well, I’m not an expert on any of this stuff and neither are most people. I think people in general tend to vote on many of these issues in an emotional way, which may not be the best way to, say, make budgetary decisions for a state in astronomical debt. But this is the system and it’s what we have to work with. You can read more about California’s ballot initiative process here if you like. Proposition 37 is one of these such initiatives that will be on the ballot in California this November. In sum, Prop 37 mandates labeling of genetically-modified food. And, if it is passed in California, it will impact the rest of the country somehow, somewhere. You know, setting wheels in motion and all of that. As with all propositions, I approach it skeptically. Especially after learning how poorly it is written, including so many exceptions to render the labeling almost meaningless. In addition, while I feel very strongly about the various impacts the industrialized food system has on our health and the health of the earth, I don’t think we can say that GM foods are all bad and evil, and mandating a label implies as much. (P.S. I reserve the right to change my mind as more information comes to light, of course!). I’m married to a scientist, a bioengineer at that. Nate and I believe in science and it’s ability to do a huge amount of good. HOWEVER, genetically-modified crops are a mainstay of Big Food (i.e. the big, rich, powerful companies that drive the industrialized food system). They are fighting this proposition tooth and nail and they are the reason there hasn’t been labeling from the get-go. And, as flawed as the proposition may be, it just might be the first time we can take a real, meaningful stand against a broken food system. I’m torn. This must be what a legislator in Washington feels like when a bill they believe in ends up with riders they don’t agree with but are necessary to get the bill passed. Politics are messy. I am sooooo glad I am not a politician. But, like it or not, voting on Prop 37 in a few short weeks gets me involved politically. And it puts the food system on the political map. Michael Pollan wrote a piece about Prop 37 for (you guessed it) the New York Times last week. He puts it all down on paper far more eloquently than I have. Go read it. It is, at the very least, thought provoking. I’m not telling you how I’m voting. Although, I have to say, I can’t imagine ever being on the same side as Monsanto. Much to ponder, here, my friends. Much to ponder. 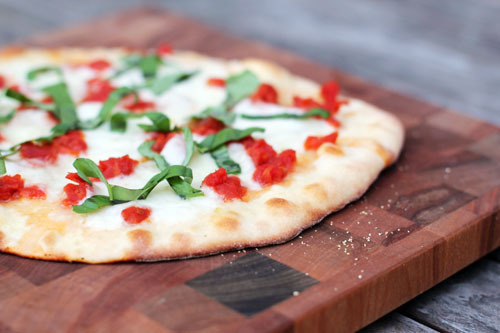 Fresh Tasting Margherita Pizza Year Round! One of my biggest food pet peeves is unripe tomatoes. You know the ones, those tomatoes you buy at the grocery store or get at restaurants throughout most of the year. The ones that travel many, many miles in a picked-before-they-are-ripe state. The ones that are rarely red inside and are lacking that full, wonderful flavor that tomatoes are supposed to have. Since joining a CSA a few years back, I have pretty much stopped buying fresh tomatoes at the store. We enjoy fresh tomatoes only 1 or 2 months out of the year, when they are in season and are showing up in my weekly CSA bag. The rest of the time? I change my meal plans to reflect the lack of in-season tomatoes in our lives and go with recipes that utilize canned tomatoes instead. This approach has worked great! Sometimes, though, in the dead of winter, you need a little something to remind you of those summer and fall days, when fresh produce is in abundance. One of my most favorite foods is margherita pizza and it fits the bill when I’m feeling a little itch for summertime food. And a can of petite diced tomatoes is just what I need to make it happen. 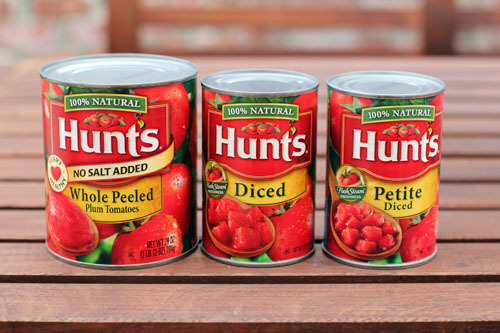 I recently started working with Hunt’s canned tomatoes and have really appreciated learning about about how they can their tomatoes. All of their tomatoes are grown in California, picked when they are ripe and canned within hours of harvest. The tomatoes go through a FlashSteam process, instead of being treated with chemicals like other canned tomatoes. 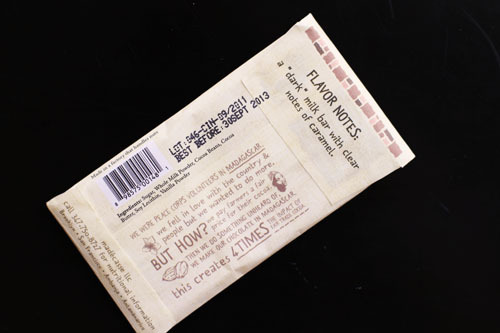 As a result, the full tomato flavor is maintained and the tomatoes are fresh tasting. 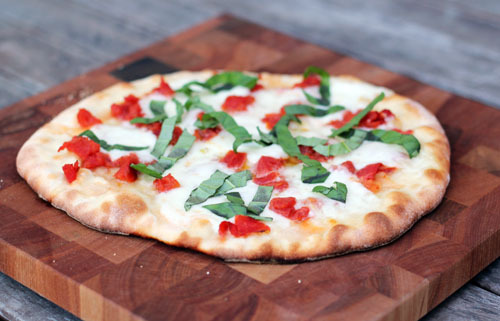 Which brings us back to the margherita pizza. 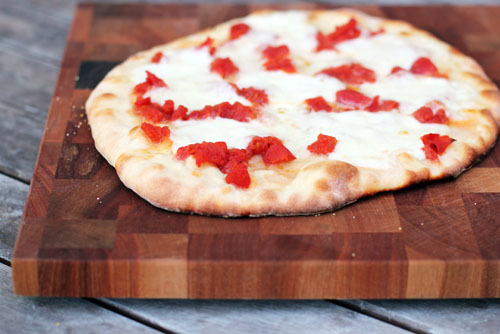 A can of petite diced tomatoes works perfectly on margherita pizza. The pizza has all that great fresh tomato flavor I am always striving for. No unripe, mealy tomatoes for the Maynards…or their pizza. 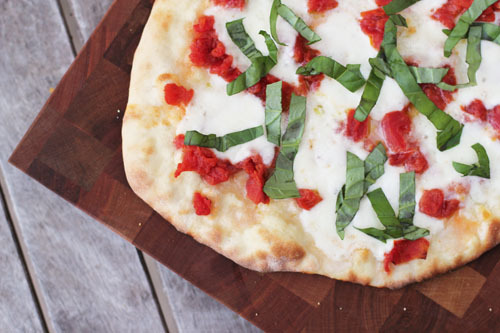 Here’s to delicious margherita pizza any time of year! Divide the Uncle Tony’s Pizza Crust dough into four pieces. Roll each piece out to 9 inches. It’s time for my final Kashi review with Martha’s Circle! 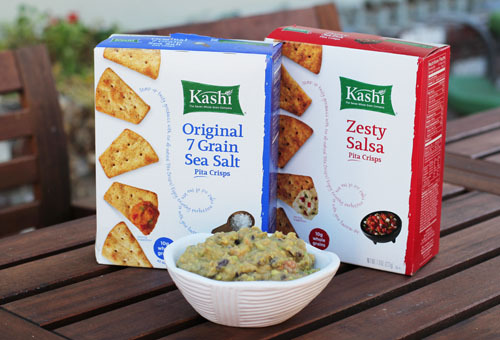 This month our family had the chance to try the Kashi TLC Pita Crisps Original 7 Grain with Sea Salt. When the pita crisps arrived, I told the girls that we had another taste test to do for the blog. They asked what the food was and I told them pita crisps. I asked, “What do you think we should eat with the pita crisps? What would go well with them?” They both responded immediately with “Hummus!” I was very impressed”¦not only do they know what hummus is, but they both know hummus is great with pita anything! 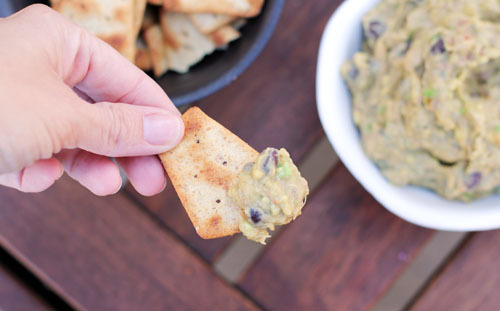 I decided to whip up my most favorite dip of all time, Hummus Guacamole Dip. Tell me you’ve tried this recipe. Please. Tell me you have! Okay, if you have not, then I must insist you do so at the next possible opportunity! It is super tasty and really healthy to boot! 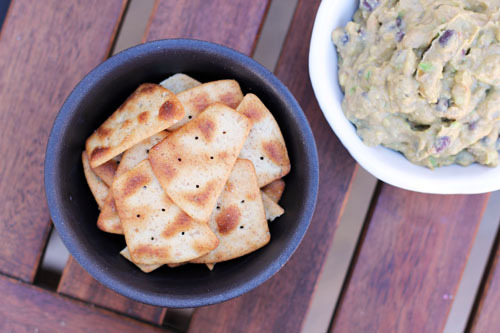 The Kashi pita crisps were great with this dip, making for a delicious and super healthy snack. 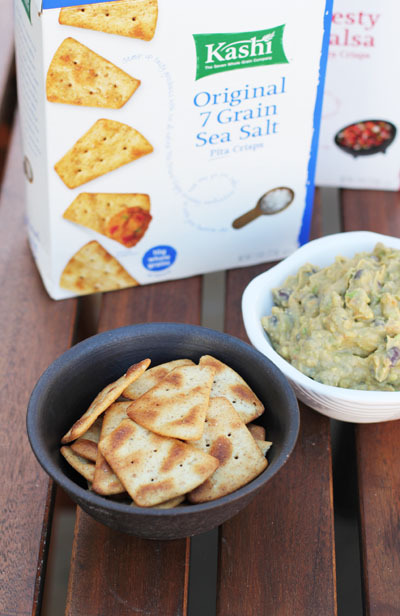 The pita crisps are nice and crunchy and can stand up to any dip or salsa you throw its way, and the simple sea salt flavor is complementary to spreads, cheeses and dips of all kinds. 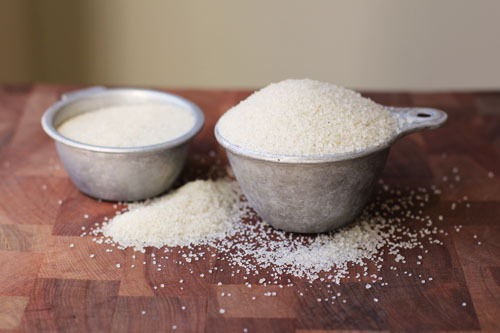 And, as with all Kashi products, I love knowing there are all kinds of whole grains in the mix. Kashi also sent a box of the Zesty Salsa Pita Crisps, which my sister and I really liked with the hummus guacamole dip, too. Yum! Thanks to Kashi for having us try out there whole grain goodies! The season that makes me most homesick for the Northeast is autumn. I seriously miss a good, old-fashioned fall, complete with colorful leaves, cool weather and apple picking. I have the best mother-in-law ever. 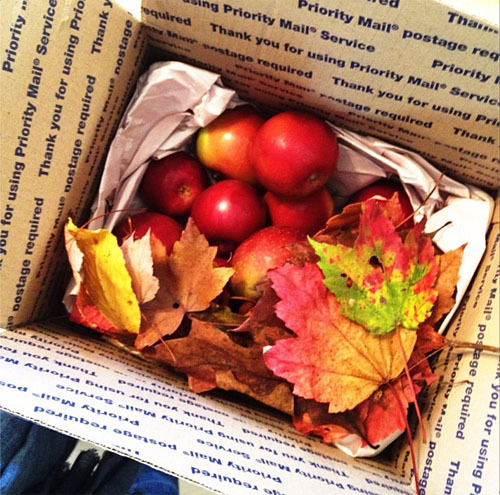 She proved herself once again this week by sending a box filled with Macintosh apples and fall leaves. It was so thoughtful and cute of her. There is nothing like a Macintosh grown in New England. – A little shout out for World Food Day! The non-profit ONE will be hosting events in six cities (click to see if one of them is yours) and calling on everyone to send messages to leaders to put hunger on the agenda. Good stuff! Click here to read more! I’ll have to miss the San Francisco event because I’ll be at a field trip with my little Anna, but if you make it, have fun for me! 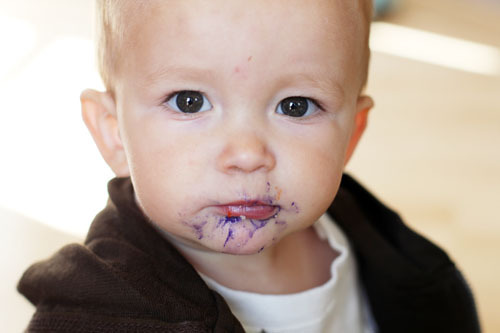 – Something with sweet potatoes! As usual, it is time for me to BEG you to post your menu for the week! Please, pretty please! We honestly don’t care how fancy or un-fancy the menu is…everything inspires ideas!